CID sleuths have arrested a director of Paonta Sahib-based firm Indian Technomac Company Limited in a nearly Rs 6000 crore fraud case. The accused director, Vinay Kumar Sharma, son of IAS officer M L Sharma, a former Deputy Commissioner of Sirmour district, was yesterday produced in a local court at Paonta Sahib which remanded him in Police (CID) custody till March 24. 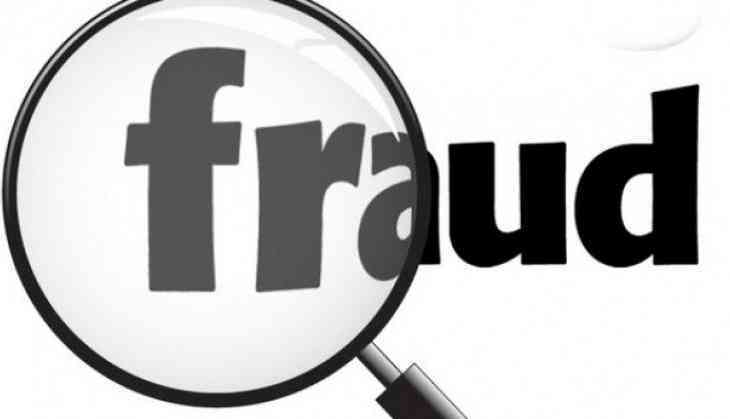 The financial fraud, one of the biggest in the state as per records, was being investigated by the different departments of Himachal Pradesh for the past over four years. The CID team is looking for main accused Rakesh Kumar Sharma, MD of the firm but is not sure whether he has fled the country. The scam surfaced at a time when Nirav Modi's around Rs 12000 crore PNB scam hit the headlines. Indian Technomac Company's alleged fraud is estimated to touch Rs 6000 crore. The arrest of Vinay Kumar Sharma has been made by the CID in connection with two FIRs registered by the investigation agency for the offence -- making the payment of crores of rupees as energy charges to the Himachal Pradesh State Electricity Board allegedly through a fake RTGS, huge tax evasion, Benami land purchases and violation of provisions of section 118 of Himachal Pradesh Tenancy and Land reform Act, 1972. The state Excise and Taxation Department also woke up recently and ultimately filed an FIR on March 12 in the Majra police station under Paonta subdivision against the Managing director and three directors of Indian Technomac Company for cheating and forgery. As per the FIR, Rakesh Sharma and three Directors --Vinay Kumar Sharma, Ranganathan Shrinivasan, and Ashwani Kumar Sahoo have been booked under sections 420, 467, 468, 471 and section 34 of IPC. The Excise and Taxation Department has claimed that it has suffered a loss of Rs 2,175.51 crore due to tax evasion. Various banks defaulted to the tune of Rs 2167 crore and the company owed Rs 750 crore to Income Tax Department and crores of rupees to HPSEB, EPF, Labour department and several other departments which could be the tune of Rs 6000 crore. DSP, Paonta, Pramod Chauhan said the investigation was underway.